Written by Sarvenaz Tash. You can follow Sarvenaz on Twitter at @SarvenazTash. Photos by Graig Kreindler. 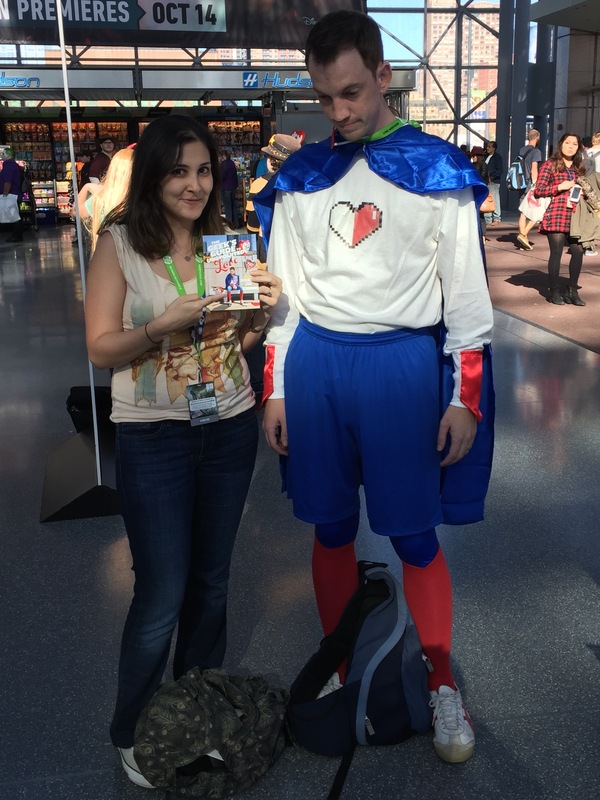 This is my fifth year attending New York Comic Con…but my first one attending it as a parent. This was monumental for two reasons. 1) It was the longest amount of time my husband and I have spent away from our 11-week-old son. (This means my babysitter/sister got to liberally and appropriately use the poop emoji as we texted back and forth: always a win). But more importantly 2) we now had a pint-sized excuse to go shopping at the con! 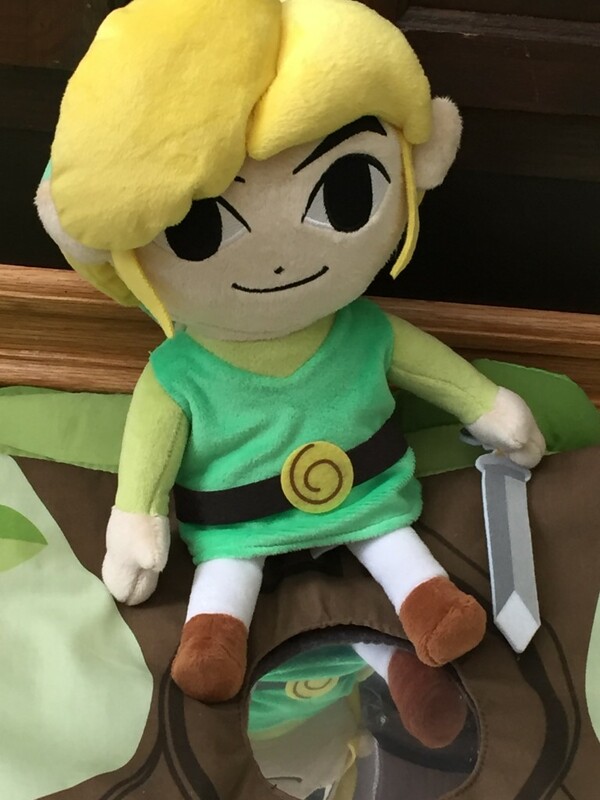 Our first purchase was the thing we both knew we wanted…if I have to be honest, even before he was born. 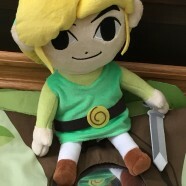 What little boy or girl doesn’t need a plush Link to cuddle up to while dreaming of their own 8-bit adventures? 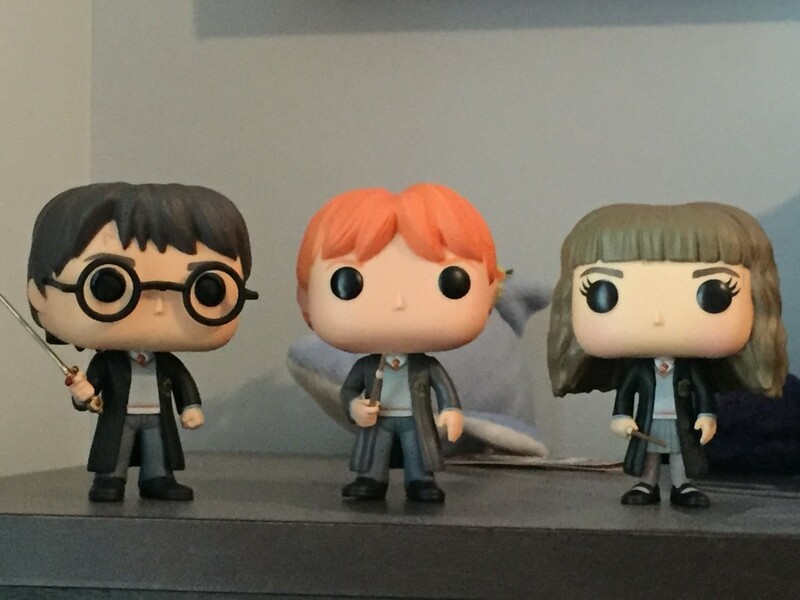 Next, it was time to fulfill the Harry Potter contingent and these Pop! Vinyl figures fit the bill. Naturally if I was going to get him a starter kit, I needed the power trio in all their glory. On a logistical note, we were actually hoping to take our little one to the con on Thursday for a couple of hours but he wasn’t feeling well. (We even had a Daenerys and Drogon costume on hand for just such a scenario, dagnabit…). Looking around the Javits with a parental eye, I think using a baby carrier would actually have been okay for him but a stroller might have been too difficult to maneuver (on the other hand, there are brave folks in super elaborate costumes that are way bigger than me + stroller and I realize it definitely is possible. I just like to be as unencumbered as possible when roaming the crowds at Javits). 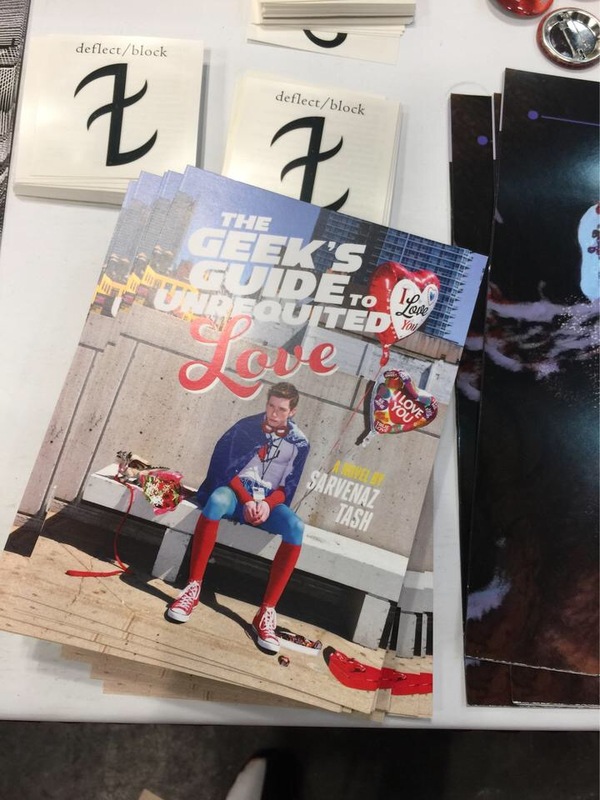 My other goal at this year’s con was to visit the Simon & Schuster booth where they were giving out these exclusive Geek’s Guide to Unrequited Love postcards. 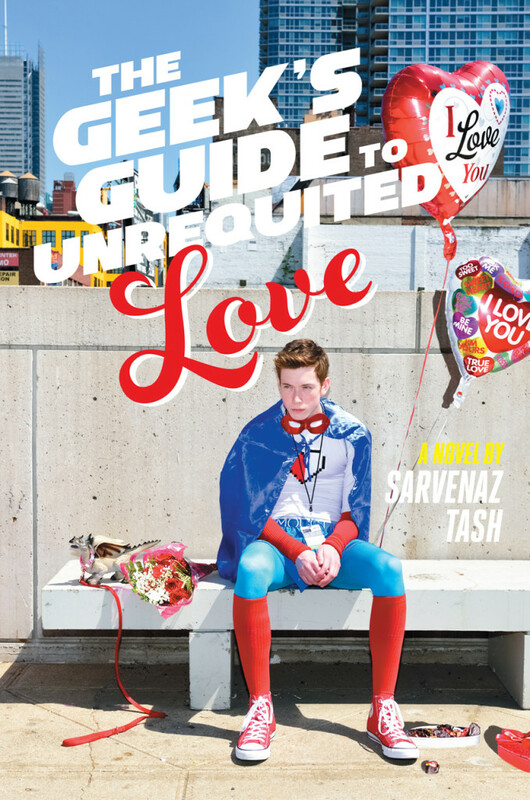 What is The Geek’s Guide to Unrequited Love you ask? 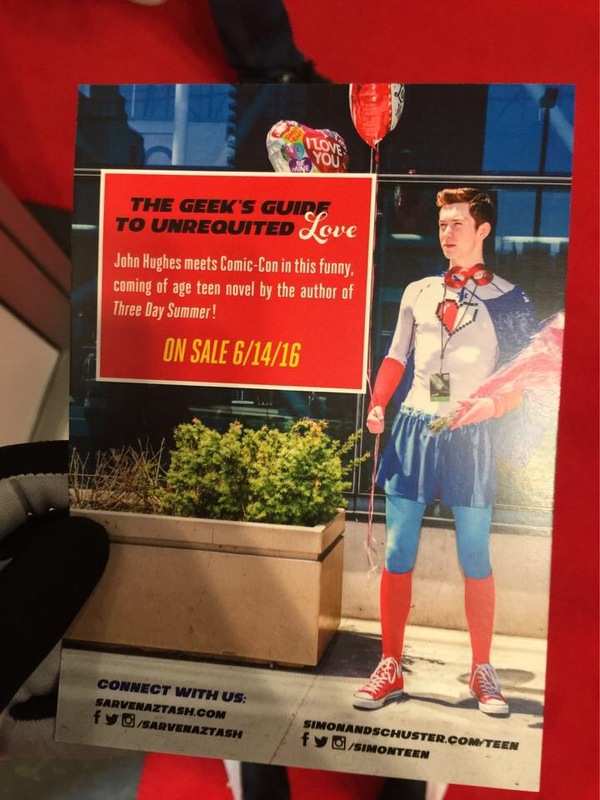 Why it’s my upcoming YA novel (coming out on 6/14/16) pitched as Pretty in Pink goes to comic con…and it, in fact, takes place at NYCC! (What can I say? I am very inspired by the creativity and passion that I’ve seen there year after year). And as a bonus, my amazing friend Dave cosplayed as the main character of my book. Yup, that is true friendship. So I will now leave you with the description of the book. I already can’t wait for next year’s NYCC when the book will be out and hopefully at the show because I’ll let you in on a secret: it’s my favorite thing I’ve ever written! Graham met his best friend, Roxana, when he moved into her neighborhood eight years ago, and she asked him which Hogwarts house he’d be sorted into. Graham has been in love with her ever since. But now they’re sixteen, still neighbors, still best friends. And Graham and Roxy share more than ever–moving on from their Harry Potter obsession to a serious love of comic books. When Graham learns that the creator of their favorite comic, The Althena Chronicles, is making a rare appearance at this year’s New York Comic Con, he knows he must score tickets. And the event inspires Graham to come up with the perfect plan to tell Roxy how he really feels about her. He’s got three days to woo his best friend at the coolest, kookiest con full of superheroes and supervillains. But no one at a comic book convention is who they appear to be…even Roxy. And Graham is starting to realize fictional love stories are way less complicated than real-life ones. And if that interests you, I’m happy to announce that the book just became available for pre-order! This was great! But I have to admit, when I saw “Mom at the Con / Posted by Billy Henehand” I assumed that meant Billy brought *his* mom. Maybe next year? Maybe…I’m not sure if Mom can handle NYCC.